Discover a whole new world of dental health care at our clinic. 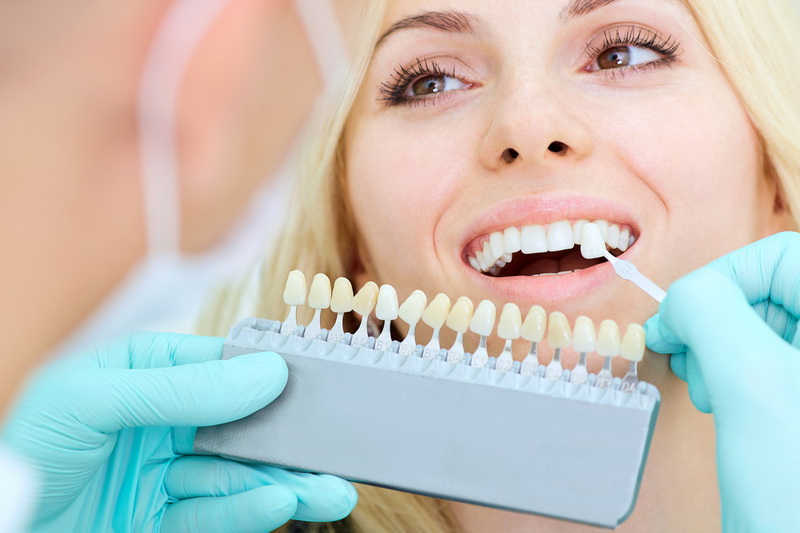 Advancements in dental science have enjoyed a wonderful transformation. The technological revolution saves time, reduces error and increases your comfort. We have the latest, best equipment right here, waiting for you. Here's one example of how it works. 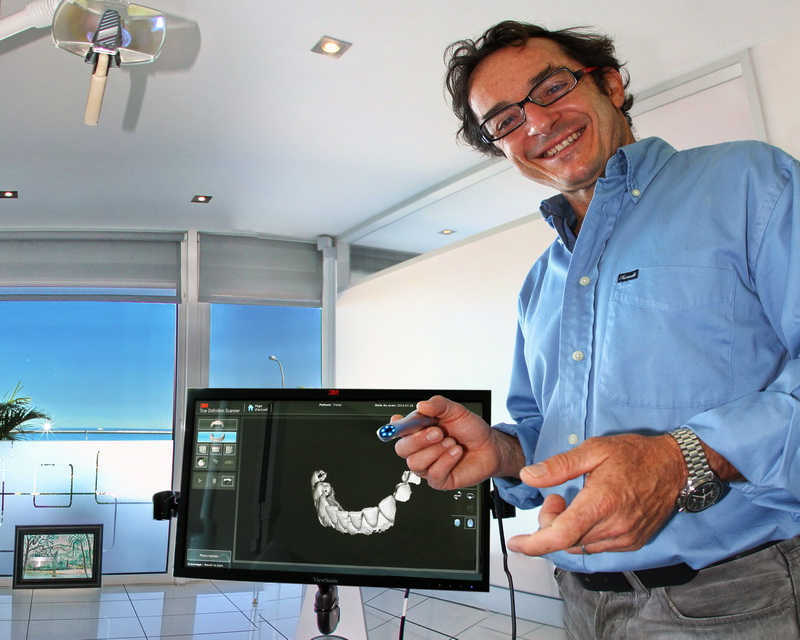 We begin with an incredibly accurate camera- scanner that, in minutes, creates a 3D computer model of your teeth. I just move the small wand you see in my hand around your mouth and it creates the digital model you see on the computer screen. The model is accurate to one fifth the thickness of a human hair for the whole jaw and to one hundredth the width of a hair for a detailed image of a particular tooth - for example to make a tooth implant. That's perfection. Remember the gooey clay on a tray that you needed to hold in your mouth until it hardened? It was used to make a plaster model of your teeth. The model wasn't terribly accurate, it was messy and uncomfortable, and it took time. At each stage of the process there was plenty of opportunity for errors to creep in. And when the new cap or tooth was done the errors needed to be carefully and slowly corrected. The new 3D computer model eliminates all those problems. As soon as we finish scanning your mouth the 3D computer model is sent by WiFi to another computer. The second computer perfectly measures the gap in your mouth and creates a digital 3D model for the implant, cap, or filling in moments with perfect accuracy. The green tooth in the image on the right is the model that is then sent on to a robot sculptor. Next a robot uses the computer generated design to automatically, quickly, precisely, carve the repair out of ceramic, special polymers or even titanium. What used to take a week or two now happens in an hour or less and the accuracy is so perfect that the repair fits. The whole process is comfortable and does a great and enduring job. When it's done the new tooth or cap will look and feel exactly like one of your natural teeth - perfect, strong, and comfortable. Dental Innovation at it's best.